2018 has seen a boom in the production of new state of the art cruise ships and one of those ships is Norwegian Bliss. The newest and most exciting Norwegian Cruise Line ship to date. If you are an avid cruiser then you probably know the thrill of cruising in a new ship. There are so many perks and benefits to be enjoyed like new and improved restaurants serving delicious meals. The hottest entertainment in town, new surprises like additional observation decks. And when you are cruising with a ship like the NCL Bliss, you can expect the very best features and services at sea. Such a ship is the beautiful Norwegian Bliss that was unveiled on April 21st, 2018. Norwegian Bliss has opened the way for the rest, setting the bar so high with its top of the notch features. 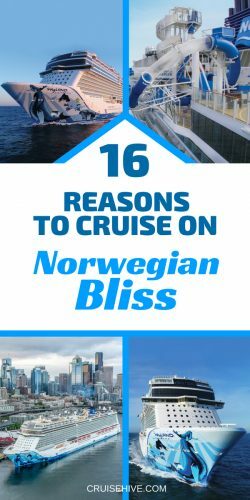 If you were planning a cruise and wondering which ship to cruise on, here are 16 reasons why you should cruise with the brand new Norwegian Bliss. But first, let’s take a look at a brief overview of the Ship and what you can expect from it. Norwegian Bliss was delivered on April 21st, 2018. This ship is a part of NCL’s Breakaway Plus class of ships, meaning it’s one of its larger class ships. 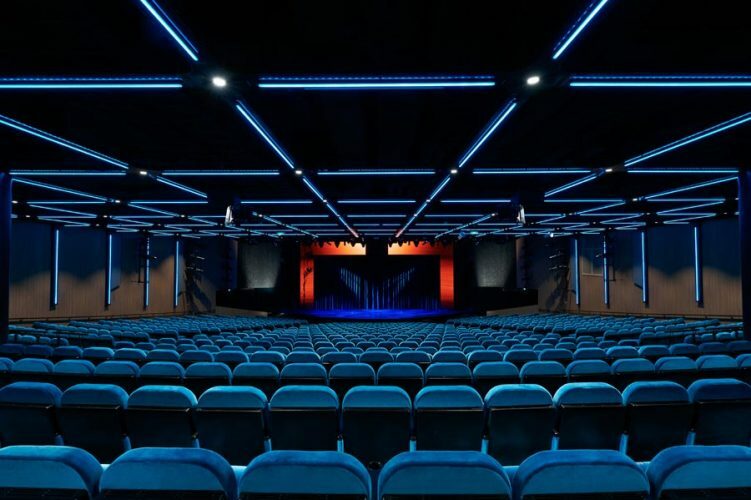 It has a capacity of 4,000 guests and a gross tonnage of 168,028. 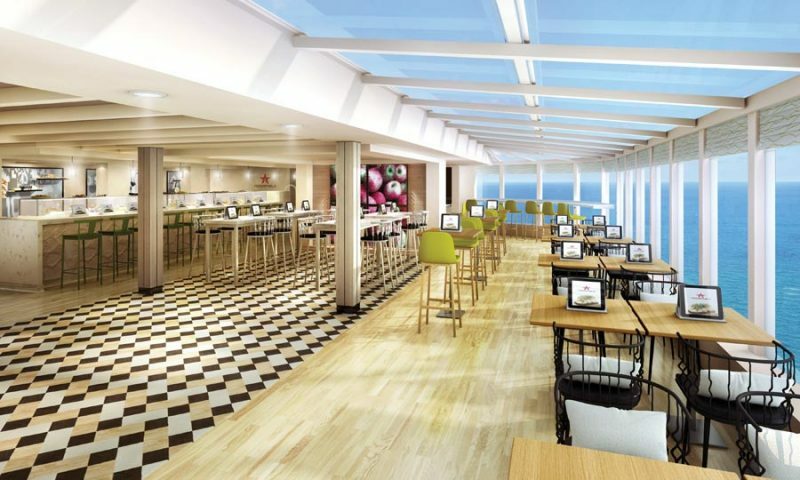 The NCL cruise ship has bigger and better facilities and amenities than others in the fleet. It features a culmination of all the best features from its sister ships Norwegian Joy and Norwegian Escape and some new ones as well. Norwegian Bliss is built for those scenic long Alaskan cruises, Caribbean cruises and some select Mexican Riviera stops when the Alaskan cruising season is over. The ship will debut its maiden voyage to Alaska in June 2018, from the Seattle homeport. It will be doing 7-day weekly cruises to Alaska until summer season in Alaska is over. Then it will move to its Miami, Florida homeport for winter season cruises to the Caribbean and Mexican Riviera in late 2018, early 2019. In 2019 Norwegian Bliss will also be cruising from the Big Apple. When going on a cruise vacation, our number one goal is usually to relax. Well, on Norwegian Bliss you will get to relax as much as you want with blissfully lavish accommodations. NCL is popular for its Haven enclave, otherwise known as a ship within a ship. This paradise of tranquility is meant to offer you a private getaway, mimicking a 5-star hotel out at sea. 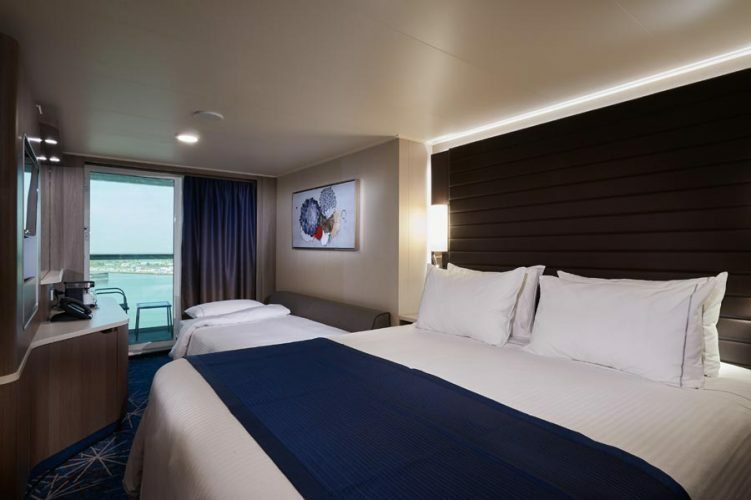 The haven features spacious beautifully designed staterooms, with private balconies to enjoy those panoramic views from. Apart from the staterooms, Haven guests enjoy exclusive, stateroom key only access to the Haven lounge found on deck 16, which features a private restaurant, private pool with a private sundeck. 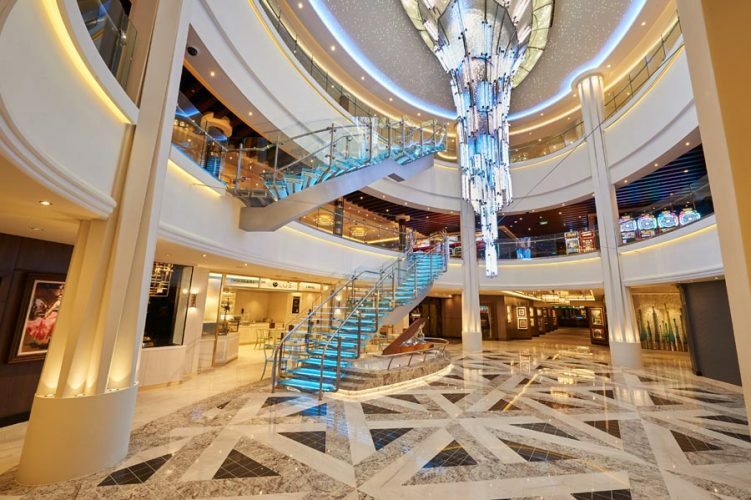 One of the most remarkable Haven features in this new ship is the two-story observation lounge, found on deck 16. The full-length windows enclosing this area allow you to enjoy beautiful views in the ship’s wake in a comfortable enclosed environment. If you want to cruise on a budget, however, don’t be dismayed. There are other lavish living options with other selections of staterooms. Like the beautifully designed spacious spa staterooms featuring a private balcony. Their most important feature, however, is the complimentary thermal suite access and discounted spa deals. They are also conveniently located near the spa and gym. If you plan to hit the spa and gym frequently on your cruise, consider getting these staterooms. Another lavish living option is the award-winning studio stateroom on NCL. Designed for the solo cruiser who doesn’t wish to pay additional charges for the normal 2 person stateroom. Norwegian Bliss has gone further to make this stateroom more enjoyable by adding a virtual window. You are now able to enjoy the breathtaking scenic views, just like the person in the balcony or windowed stateroom. The routes that Norwegian Bliss cruises through are undoubtedly beautiful. Enjoy the view of snow-capped mountains and glaciers of Alaska or the lush green and white sandy beaches of the Caribbean on the 2 observation decks available on this ship. The horizon observational deck which features a two-story lounge with an extraordinary view via the vista. Exclusive only to Haven members. And the main observation deck that features an amazing 3,500 square foot floor to ceiling windows with a 180-degree view of the surroundings. Best of all, you can grab a bite any time of the day enjoying this view. Aboard Norwegian Bliss, you are guaranteed great views, relaxing times and the best sunset views on a cruise ship. A cruise vacation is part relaxation, part fun adventure and also part culinary experience. Norwegian Bliss hasn’t disappointed in this area. It has brought back all your favorite restaurants like the modern Mexican themed Los Lobos, which has some fiery menu options. The main dining room, The Manhattan, set in a chic design exuding the perfect ambiance to enjoy your meals in. And the other two intricately designed dining rooms, the Savory and Taste dining rooms. The new favorite “The Local Bar” serving you typical pub fares 24/7, this is where you can grab a late-night snack or just hang out. Old is gold, enjoy amazing cheeseburgers at Jimmy Buffet’s Margaritaville At Sea. Or visit Teppanyaki restaurant for some unforgettable Hibachi style Japanese Menu’s. Enjoy the perfect steak at Cagney’s Steakhouse or visit Le Bistro for your French cuisine. Enjoy fresh catches at Ocean Blue and satisfy all your seafood cravings. La Cucina brings you Italian menus, with a wide assortment of perfectly aged wines from Mondavi. And a new addition to the flare, a Texas-themed smokehouse called Q, that plays country music. It’s absolutely genius, enjoy your steak, while relaxing to the best of country music. On the drink’s end, there are at least 17 bars to quench your thirst at, on the ship. While on Norwegian Bliss, your nights will always be an adventure. Grab a drink at the newly added A-listers pub, named after NCL’s President and CEO Andy Stuart. Enjoy a trip down memory lane, while enjoying some classical tunes of the Beatles band in the Cavern pub. That mimics the real one in Liverpool, where the Beatles used to play. Grab a drink at the observation lounge on deck 15 and enjoy the beautiful sunsets. Or simply hang out at the new Local Bar, that is open 24 hours a day. Enjoy a night of laughter out with friends, bar hopping from the multiple bars on deck 8. While on Norwegian Bliss, you are guaranteed to never have a dull night, no matter how hard you try. Enjoy a musical journey depicting the real life of Frankie Valli and the four seasons with the Jersey Boys band. Or take a trip back to the old days, with Madame Lulu’s speakeasy, the night before prohibition musical performance. Enjoy 5 free cocktails that come with this musical. Another musical performance to watch out for is the Tony award-winning choreographed Havana musicals. And have the laughter of your lifetime, by the rib cracking comedians over at the comedy club. Enjoy some sensational dance performance as well and learn a thing or two about the art of dance. Or take part in the occasional theme parties aboard the ship. There are new entrants as well on the Norwegian Bliss. Delight yourself with chocolatey delights at the newest addition to NCL dinning, Coco’s, an all chocolate treats café. Another fleet first is the Starbucks addition on an NCL ship. 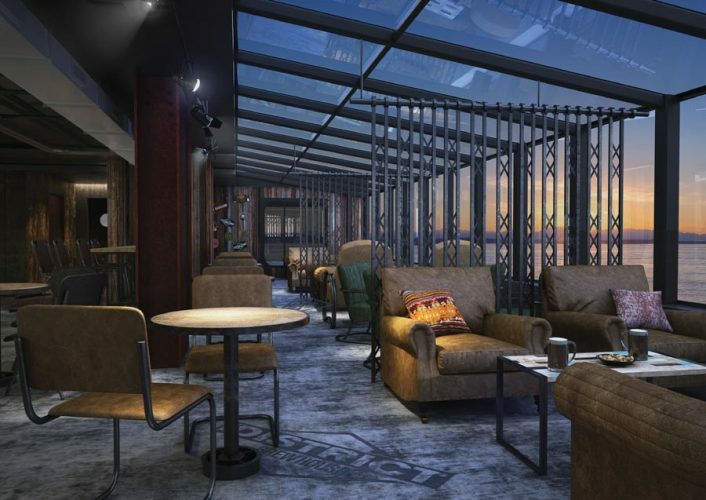 In a decision to honor Norwegian Bliss’s homeport, Seattle, NCL has added one of Seattle’s main attractions, Starbucks, into its list of topnotch specialty venues. For the young at heart, another reason to book NCL is to enjoy a game of Laser Tag out at sea. Take down an army of evil aliens that want to take over the earth, and enjoy the hero feeling you derive from this experience. The Laser Tag playground is exquisitely detailed, featuring an abandoned spaceship theme in the open air, on top of deck 19. Ready for exhilarating adventures. How about a multiple story water slide, with an aqua racer section, with looping tubes that have transparent sections over the side of the ship? Challenge your friends or family on the aqua racer, and have some fun sliding through the water tubes, at high speeds. Enjoy the view of the ocean, at the transparent intervals, before zooming your way to the end of the tube, ending with a huge splash in the splash zone. Enjoy your day at the Aquapark, riding this water slides or simply hanging at the pool enjoying frozen drinks. Just like sister ship Norwegian Joy which is based in China, Norwegian Bliss features the largest race track in the open seas. Located on its topmost deck is a 2 story track course stretching 1,000 feet long. Enjoy the adventure of a lifetime, racing your friends on this amazing track course. Really, how many people can get to say they went go-karting in the middle of the ocean? And if you are worried about the noise from this race course interrupting your vacation, don’t. The go-karts are fitted with noise silencers, but you as the racer still gets to enjoy the raw engine sounds as the rubber meets the road, through special sound speakers in your headgear. 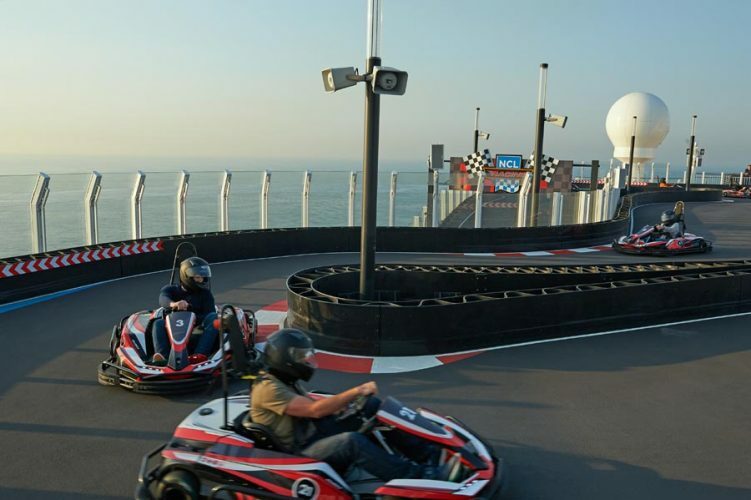 So, get your competitive spirit on and negotiate those hairpin turns at high speeds, testing your driving skills, and enjoy the thrill and excitement as you beat your friend to the checkered finish line. Teens will love the entourage club, which is strictly off-limits to parents. Here they will enjoy hanging out with their agemates. Watching movies, listening to their kind of tunes, exploring art or playing video games. If you have younger kids, you can enjoy playtime with them at Guppies. But the absolute highlights for the kids other than the race track and laser tag will be the Kid’s, Aqua Park. Featured just next to the adult aqua park is the kid’s aqua park. Your kids will splish and splash, having a blast from the whooshing through the water slides, or splashing under the tipping buckets and water cannons. You will also be able to enjoy some time alone, by taking your kids to Splash Academy where they will be well taken care of. The splash academy offers professional care, sports, and many fun activities to keep your young ones busy and entertained. You can get your cruise ship luggage tags from Amazon right here. Forget your troubles and treat yourself to a relaxing massage on a heated tile lounger at the Mandara Spa. Hangout in the thermal suite, taking a dip in the vitality pool, with warm waters cascading on you. Visit the salt room and enjoy a rejuvenating cleansing, from a noninvasive halotherapy. Enjoy a real message in the spa treatment rooms. Or get your blood pumping in the ice-cold snow room, that is meant to help you with blood circulation issues. Just unwind and be pampered at the spa. Other than the pool and sundeck area other areas to enjoy a great hangout on the ship is at the 687-ocean place. This is a 3-deck action filled location, where most of your specialty dining and favorite bars like the Cavern or Sugarcane Mojitos are located. Explore the place and jump from one event or venue to another until you find the place that interests you the most. Another great hangout spot is the waterfront, which is a quarter mile promenade that allows you a more intimate experience with the sea, wonderful views and some of your favorite joints. If you want to have an alfresco dining experience, this is the place to visit. Try your hand at poker or the slot machines at the energetic casino on the ship. You never know, it might be your lucky day. The casino is open to all levels of players, the amateurs even the pros. Located right next to the casino is skyline bar, which offers a relaxed atmosphere best for mingling and interesting cocktails. How About a Norwegian Cruise Line ship model? Take a look here. When all is said and done, book a cruise on Norwegian Bliss, not for anything else other than the destinations, you will get to visit. Enjoy exploring wild Alaska, or the rush of sledding down the tundra. Go snorkeling in the Caribbean, visit old ports and enjoy rich historical cultures. Or simply relax on those picture perfect white sandy beaches with crystal clear waters on the Caribbean destinations. 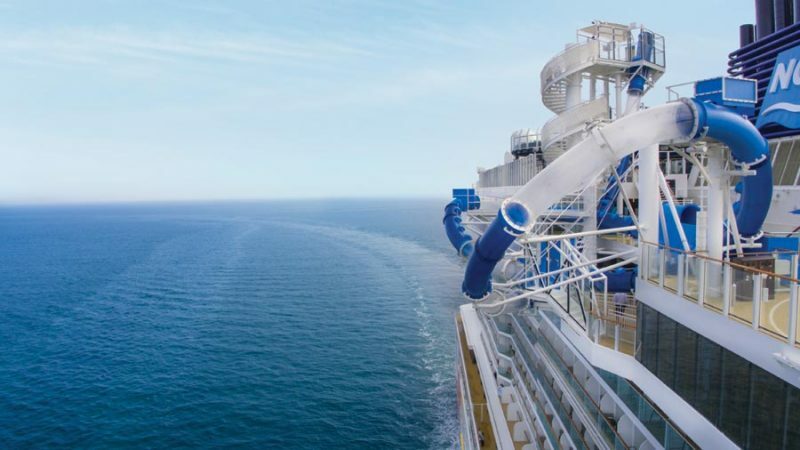 Now that you know the ins and outs of the newest and most exciting NCL ship to date, it is up to you, to try it out. If you have made up your mind to try this new ship and all the firsts listed here, then hurry and book your cruise as soon as possible. NCL’s management recently said that this is their fastest booking ship to date. Remember also to check out special deals, like dining and beverage packages, which when used well can be cost savers. That’s all for now, wish you a relaxing vacation on your upcoming cruise aboard Norwegian Bliss. Happy Cruising!! 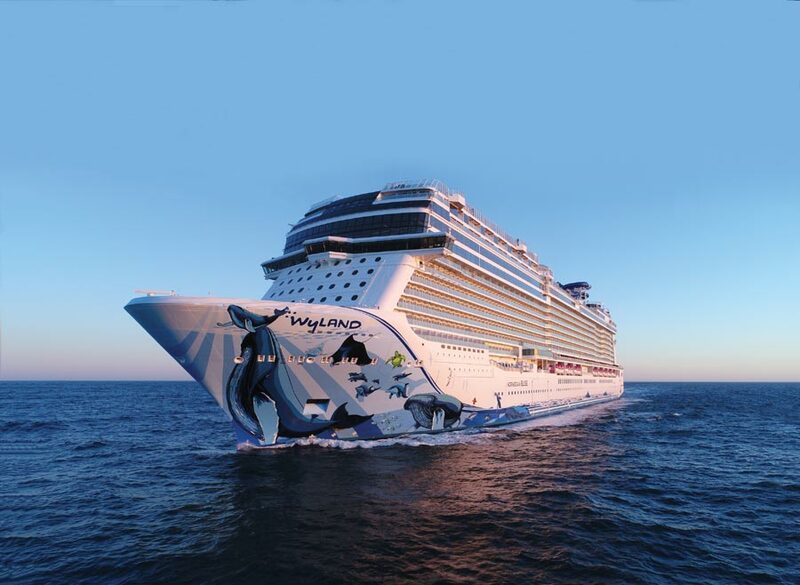 If you do want to know more about Norwegian Bliss cruise prices click here.